There's no reason you can't wear a crop top already. Invest in a lightweight knit to layer underneath (anything else and you'll be in bulky territory) then wear casually with straight jeans and sneakers. 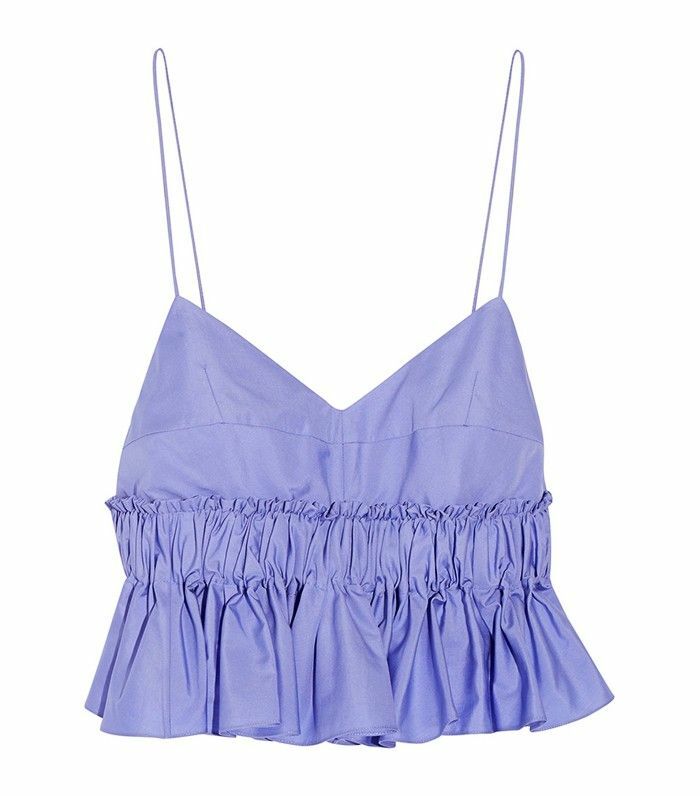 This piece will be adorable come holiday-time, but for now it's a very good nod to the season's ruffle, pastel and spaghetti-strap trends. If you, like us, are always on the hunt for one of those special dresses that works for every occasion (multiple weddings, a big interview, date night etc!) then don't look away now. 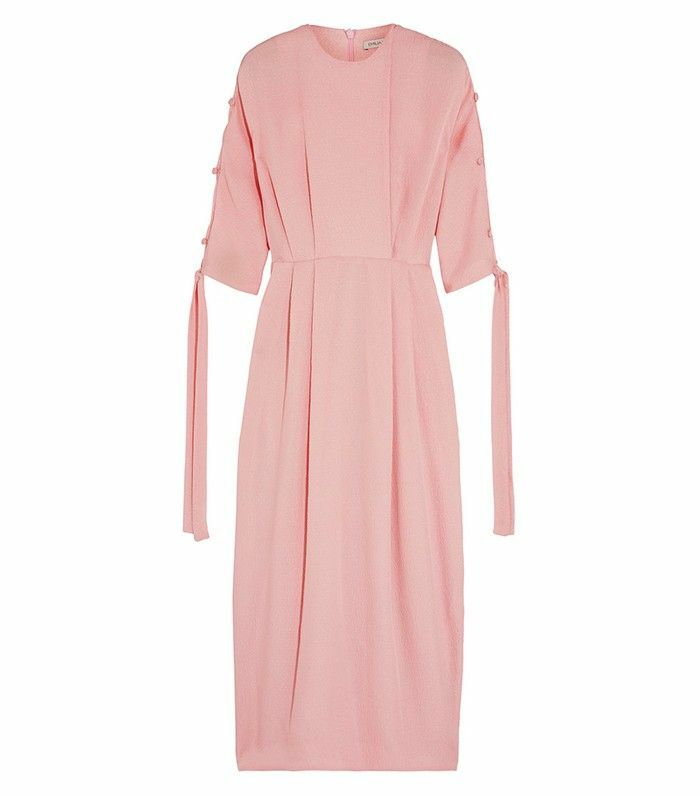 Because of the demure high neck and long hemline on this frock, it can work all year round. The pretty pink hue puts it into spring, but throw in a slim, black roll neck, shoulder-robe a biker jacket, pop on some flats and you've got yourself a surprisingly casual April get-up. 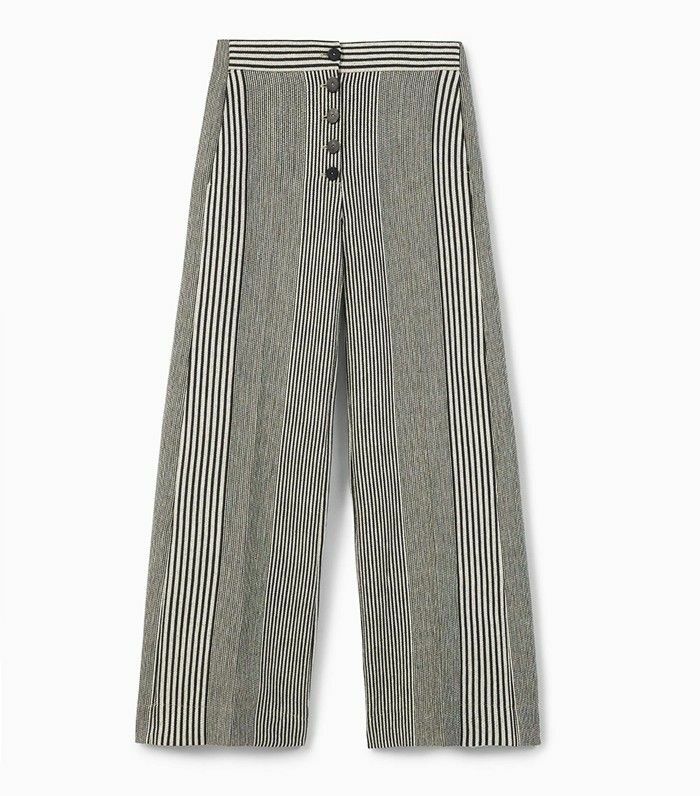 So wide-leg, long pants are a no-go at any point during the year if it's raining, but otherwise they're fair game. This summer-ready, striped pair are a perfect choice because of the black running through them—meaning you can pair them with heavier, wintry things now, like a chunky sweater. Knot a silk scarf around your neck to keep warm and wear soft flats to look Parisian. The ingenious thing about this particular skirt is the fact that you can button-up or unbutton according to the weather. Right now it'll be best to wear fully fastened with understated (read: not sassy) flats, a trench coat and a big bag for work days. So you probably need a new pair of killer sandals, what with, you know, life kind of demanding them. 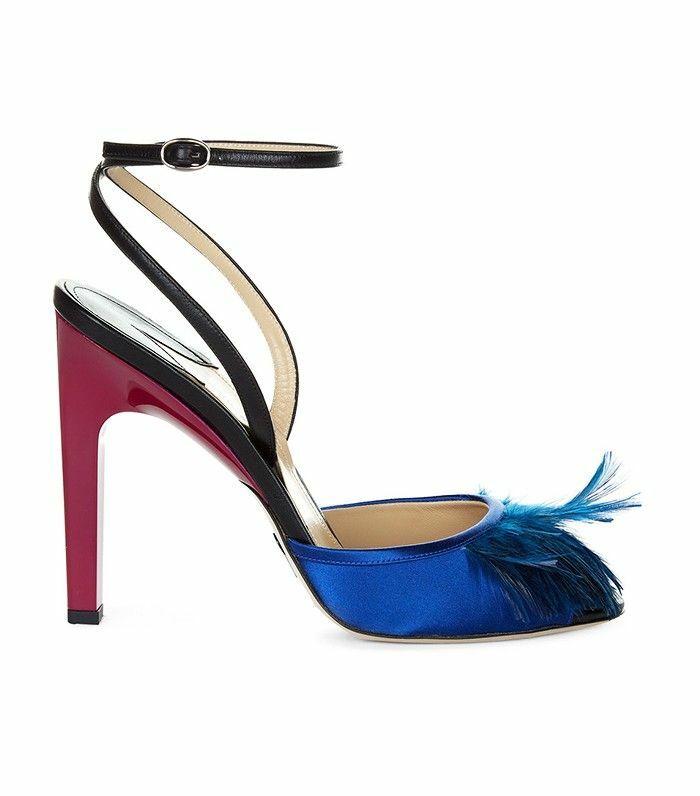 The season's new open-toe shoes are often the first pieces to sell out, so it's wise to invest early. With the addition of some low-denier tights (fishnets in particular are making quite a comeback), you can balance out this bit of ankle and foot exposure with a warmer outfit up top: A knitted dress will do nicely. Ready to get your S/S 16 on? Let us know in the comments box below, then see the midseason sales buys you shouldn't miss!